Rumours from Faeit212, take with a grain of salt but I think given what's been released recently this one might be accurate. Visited the 40k Open day with friends yesterday, and I got a sneaky peak at the rear of the new demon codex. No pictures though! Can confirm a new Great Unclean One model, Horticulous Slimux is in there and some kind of new Nurgle demon I have never seen before. The GUO is very similar in size to the Forgeworld version. The New demon was similar to plaguebearers in height but a lot bulkier. Only one too, so could be a new character/herald? Didn't get a long look before being ushered away! Wouldn't be surprising. GUO and Keeper of Secrets are the two Greater Daemons that don't have a new model yet. 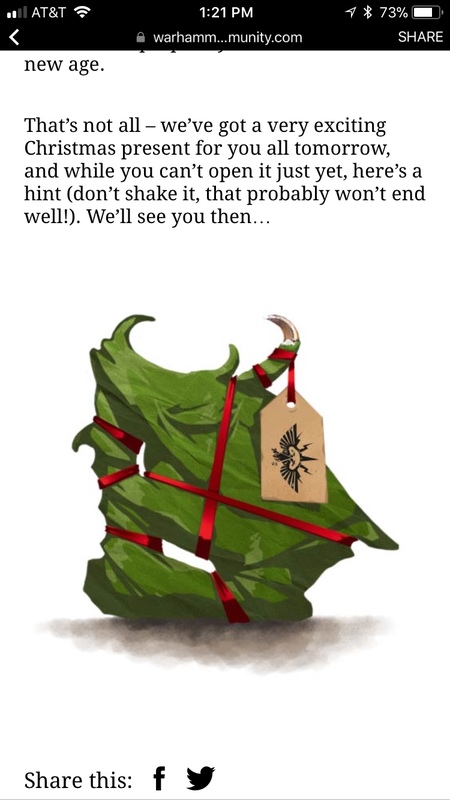 Much like it has been Khorne (bunch of AoS releases) and Tzeentch (new wave pof Daemons, Thousand Sons) had their day, it appears to be Nurgle's time at the moment. Easy to tell just by the dice they were handing out for the last Path to Glory (or whatever name it goes by) promotion. And really, the old model needs to go. It's maybe not QUITE as bad as the Keeper of Secrets, but that's only because ugly is more acceptable for Nurgle's disciples... and even then it's close. Holy Nurgle!! 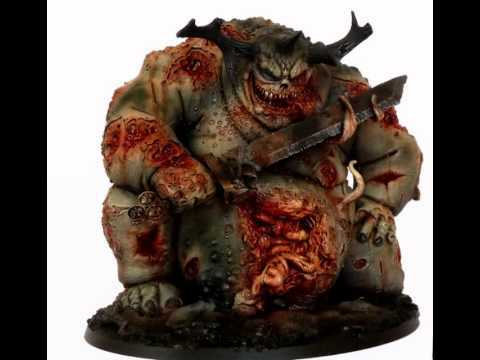 It looks as if we are getting a lot more than just a new Great Unclean One, which would have been enough on it's own, but it seems that in addition to the big guy there will also be at least two new Plaguebearer type models, either part of a new kit or perhaps we have a new Tallyman figure and a new Herald of Nurgle kit. And at long last the updated Beasts of Nurgle kit that every loyal son of Nurgle has been salivating for, which look absolutely fantastic! And then we have a new Plague Drones unit with Blightkings riding them instead of Plaguebearers, like the Skullcrushers of Khorne. And to cap it off a nice bit of Nurgle scenery to go with what's sure to make January a very sickening month! GW have already started 2018 off damn well and the year hasn't even begun yet! Last edited by Khorne's Fist; 12-26-17 at 06:39 PM. I was at my local GW when that article was released and everybody was crowding around to see it. Everyone loved it! Only slight disappointment was that the character option wasn't Ku'gath, a few people wanted him since he's pretty much the only GUO to actually be a character of note. Good they're finally doing it in plastic. Of the above, I like the middle one quite alot bt the other variations aren't doing it for me.